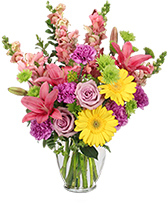 Bursting with vibrant color roses, alstroemeria, safari sunset and lilies, Simply Sweet is decadently scented and full of life. Show love and admiration to all the ladies in your life! Colors may vary. 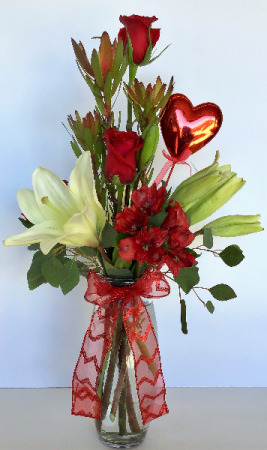 A Ruidoso Flower Shop exclusive design.